and government agencies, willing to assist injured, ill, or orphaned wild animals. 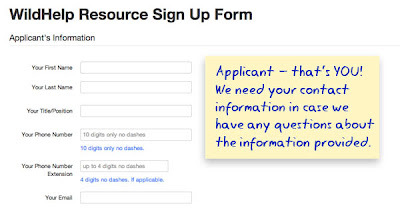 Please read these instructions before filling out the WildHelp Resource Sign Up Form. If you’re familiar with the application, you can request the link to register HERE. 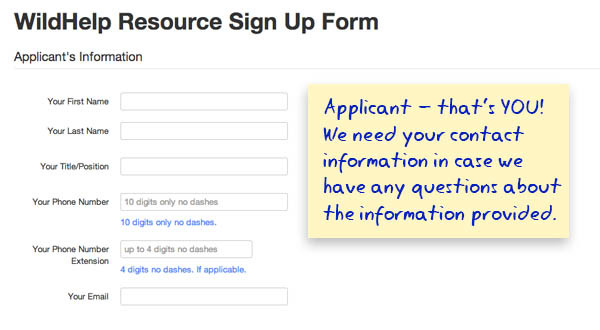 The first part of the form asks for the Applicant’s Information – that’s you. You will be the point person – the person we will contact if we have any questions about the information you submit, so please provide your email and phone number(s). This information will not be displayed to the public, it is for our internal use only. The next section, the Resource Profile, is where you’ll provide information on the individual, organization, business, or agency you represent and that you want displayed to the public. In the Name section, type the legal name of the organization, agency, etc. The same thing applies to individuals representing agencies or corporations. Type in the name of the agency or business, followed by the full name of the person willing to accept calls from the public regarding wildlife (specific species can be selected later in the form). 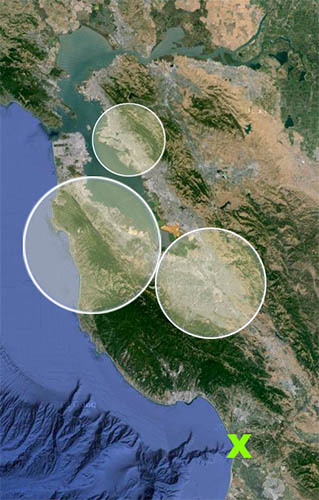 The WildHelp app collects information from the finder about the animal they discovered. The app emails this information in a Finder Report to the selected resource. So, the Primary Email is the address you want Finder Reports sent to. You can choose to have two emails receive this information at once. Note: WildHelp users will never see these email addresses. Once a Finder Report is sent, users are instructed to make direct contact with the resource by placing a phone call. The Contact Number, then, is the phone number that will be displayed to the WildHelp user. After a Finder Report is sent, the WildHelp app can send a text to notify you – so you don’t have to be checking your email all the time. The Primary SMS Mobile Number, then, is the mobile phone number through which you’d like to receive these alerts. You can choose to have two phones receive alerts. Note: WildHelp users will never see these mobile numbers. lead responder and their area of expertise. The next section asks for a Physical Address – where services are provided. This information is not displayed without your consent. This information is imperative for the functionality of the app, so don’t leave this blank. If you’re a sub-permittee, a team leader, or you work from home, type in YOUR address instead of the organization or agency. Again, this information is NEVER displayed without your consent. The Mailing Address is for internal use only, as well, and will not be displayed. The next section, Services Offered, asks you to define the services you perform. Lastly, in the Animals You Help section, select the types of animals your program is willing and able to assist. Please be thorough and check all the boxes of animals you’re willing to take calls about. If, for example, you don’t rehab skunks, but you are willing to take calls about them, then do check the box next top skunks. Finally, in the Comments section, this is where you can add details about your program that our questionnaire might have missed. You can also ask questions or leave comments for our review team. Now, are you ready to add your assistance to the WildHelp database? If so, please email us for the link at admin@wildlifeservices.org.